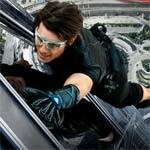 Mission: Impossible – Ghost Protocol is easily the best of the series with the original and third movie after it. 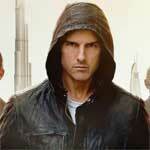 The action is intense, the suspense well done and the comedy is right on the money without going over-the-top. Although Tom Cruise deserves a fair amount of credit, I’m giving some of the film’s success to live action newcomer Brad Bird bringing his expertise that has made Pixar so successful into a new world. Mission: Impossible II is easily my least favorite of the five movies in the series, not due to any technical issues, but Woo’s style did not fit in with the core feeling of a Mission: Impossible, not to mention Tom Cruise, as great and deadicated of an actor as he is, looked ridiculous performing kung-fu moves. Mission: Impossible may be dated in terms of the technology used and some of the dialogue was clunky in order to set up some of the story, but I still was entertained by this first outing of what would become a long-running franchise with Cruise the perfect actor to steer it. 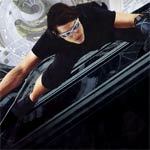 Mission: Impossible – Ghost Protocol is easily the best of the series with the original and third movie after it. The action is intense, the suspense well done and the comedy is right on the money without going over-the-top. Although Tom Cruise deserves a fair amount of credit, I’m giving most of the film’s success (including financial, grossing $600 million worldwide) to live action newcomer Brad Bird bringing his expertise that has made Pixar so successful into a new world. 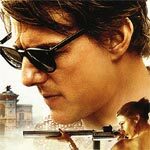 Paramount Pictures has announced the date and released artwork for the spy action-adventure, Mission: Impossible – Ghost Protocol starring Tom Cruise, Jeremy Renner, Simon Pegg and Paula Patton. It is the live action directorial debut of Pixar director Brad Bird. Check out the latest artwork and features for the DVD, 2-disc Blu-ray/DVD combo and 3-disc Limited Edition Blu-ray/DVD combo.